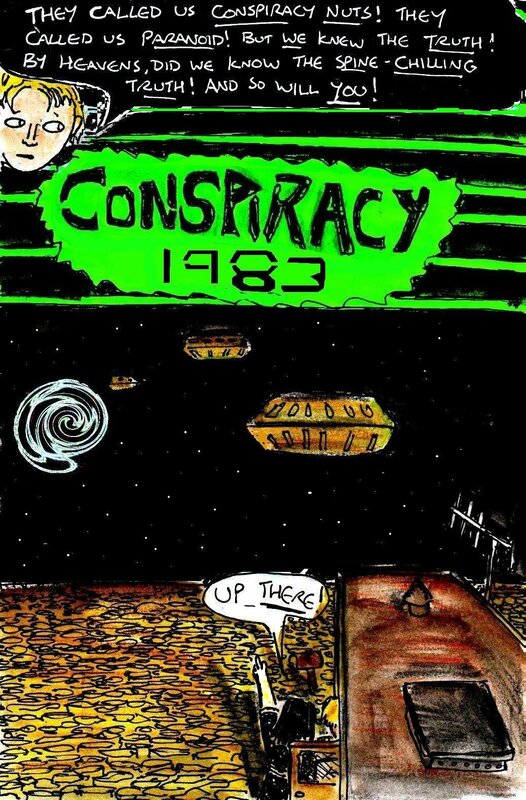 Well, in case you missed it (or started reading it halfway through), I thought that I’d show you a complete version of “Conspiracy 1983” – my ‘so bad that it’s good‘ short retro sci-fi comic. 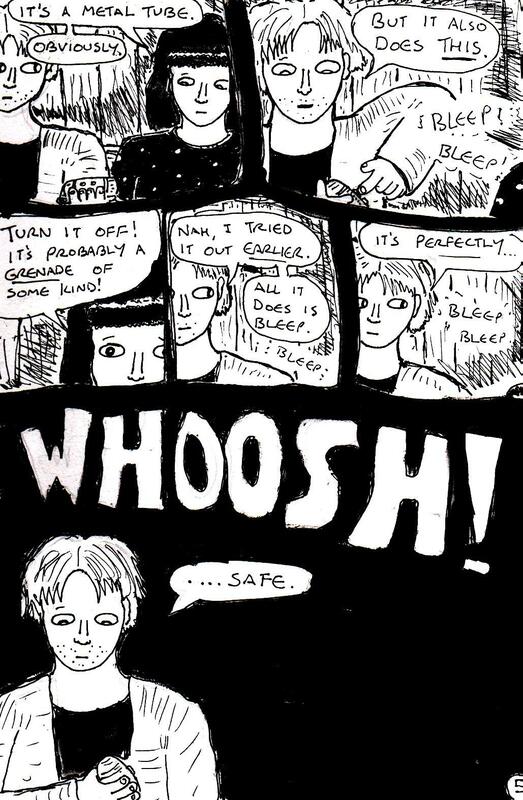 As usual, all of the comic pages in this post are released under a Creative Commons BY-NC-ND licence. Predictable plot twist! Melodramatic screaming! 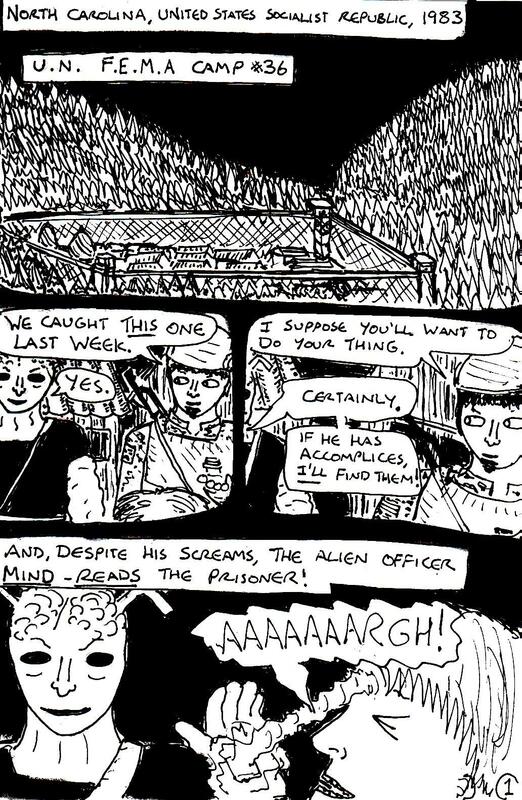 What else could it be but the final page of “Conspiracy 1983” – my ‘so bad that it’s good’ retro sci-fi comic. 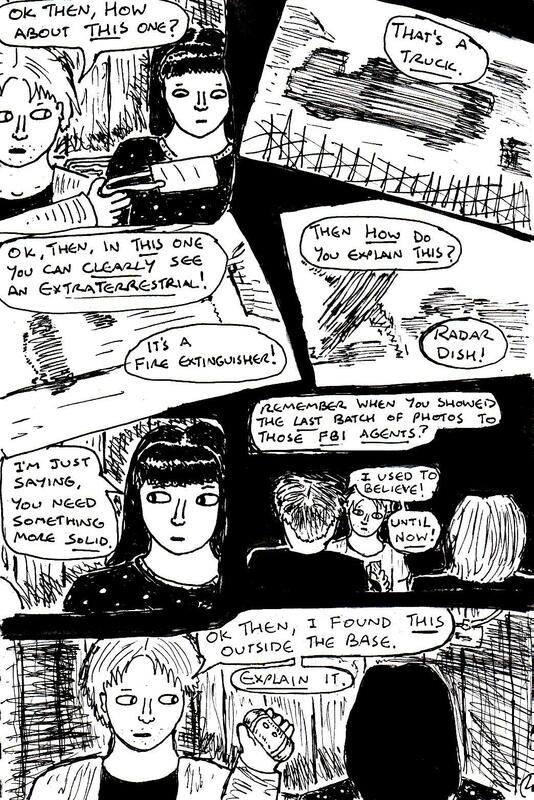 Well, this comic has been interesting to work on – although I don’t think it was quite as good as my last attempt at making a comic. Although these short comics were a lot of fun to make, I’ll probably go back to making “ordinary” daily drawings/paintings for a while at least. Mysterious devices! Melodramatic cliffhangers! 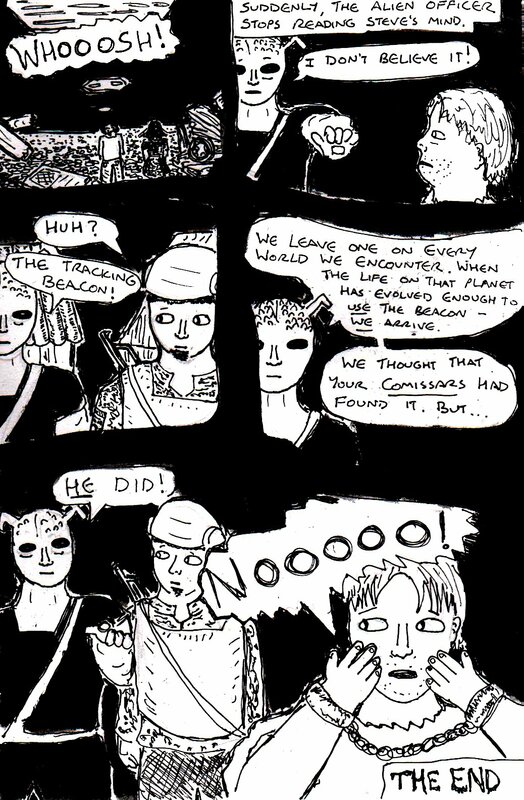 What else could it be but the fifth page of my ‘so bad that it’s good‘ alternate history sci-fi comic – “Conspiracy 1983”. Stay tuned for the final page tomorrow. Blurry Photographs! Anachronistic pop culture references! 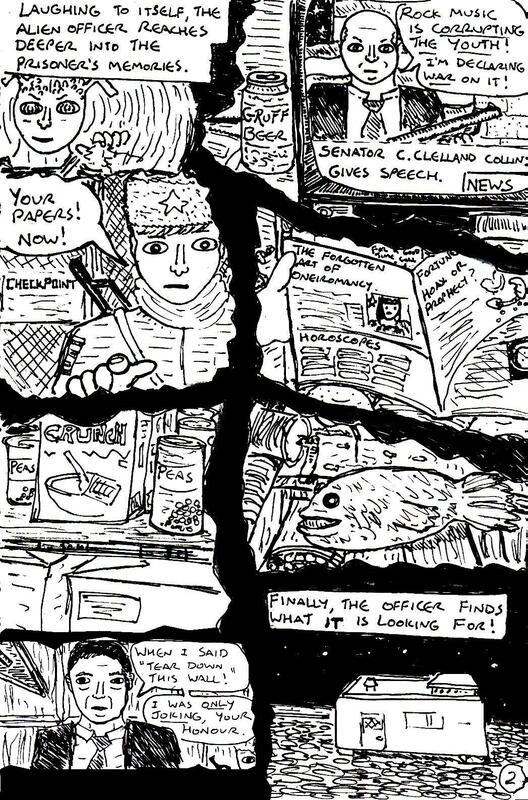 What else could it be but the fourth page of my “so bad that it’s good” retro sci-fi alternate history sci-fi comic – “Conspiracy 1983“. Unfortunately, the art on this page didn’t turn out that well – I don’t know, I guess that this page was slightly rushed. Still, stay tuned for the next page tomorrow. Numbers stations! Secret bases! Yes, what else could it be, but the third page of “Conspiracy 1983” – my ‘so bad that it’s good’ alternate history retro sci-fi comic. Stay tuned for another page tomorrow. Historical inaccuracies! British spellings! 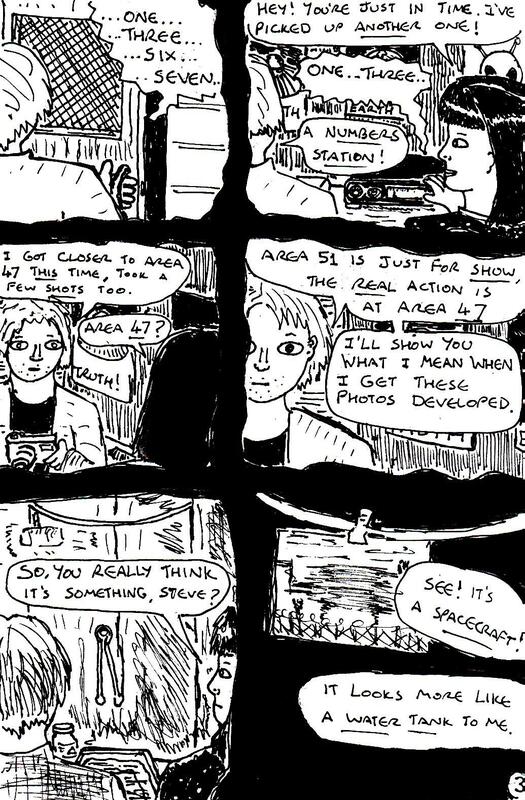 Yes, what else could it be but the second page of “Conspiracy 1983” – my ‘so bad that it’s good‘ dystopic retro sci-fi alternate history comic. Anyway, I’m really proud of how the art in this page turned out (even if I had to add one of the panels digitally later) – stay tuned for the third page tomorrow. Aliens! F.E.M.A Camps! Communism! 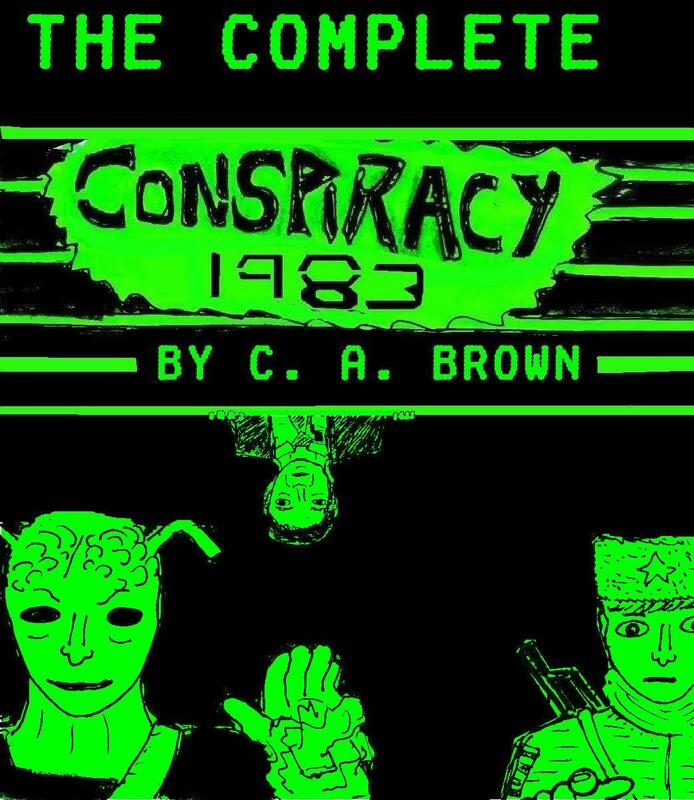 What else could it be, but the first page of my cheesy “so bad that it’s good” retro sci-fi alternate history comic – “Conspiracy 1983“?